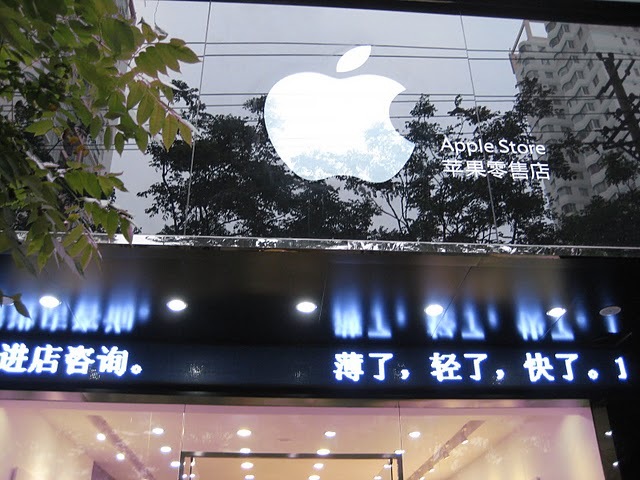 The counterfeiting of Apple products may have the Cupertino-based company worried about how it may affect sales, particularly in Asian markets, but the existence of complete counterfeit Apple Stores in China may have the company perplexed at the scale of counterfeiting its brand is suffering in some regions of the country. Apple has a small presence in China (Beijing and Shanghai), but is actively working to expand its operations in certain regions of the country to position itself in the world’s fastest growing economy. The company works hard to make each of its stores unique but some competitors have taken to opening their own fake “Apple Stores” which are staffed by employees that truly believe they are working for Apple. 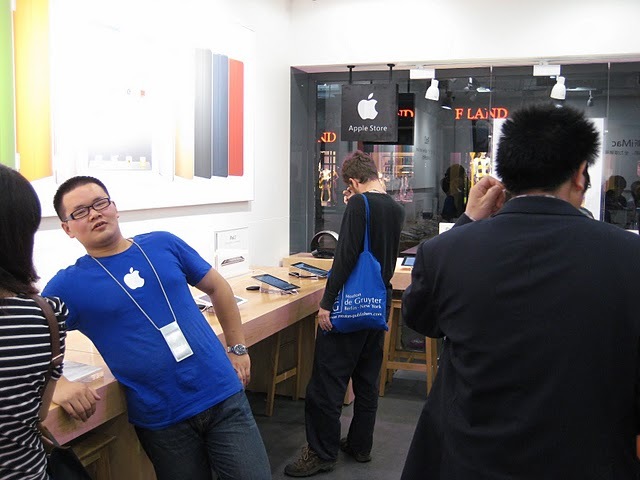 The stores, situated in the city of Kunming, each have distinctive wooden display tables, wall-mounted graphics, products on tilted stands and staff dressed in blue Apple-branded t-shirts with white lanyards around their necks – a perfectly normal Apple Store experience to someone who might not have visited an Apple Store before. Blogger Birdabroad took the photos in question and was initially stopped by staff when she started to snap shots of the store itself. However, once she explained she was an Apple employee visiting from the US (lying, of course), the staff became friendly and allowed her to take shots of the staff, products and store itself. Apple doesn’t tend to label its stores with the words Apple Store, instead choosing to focus on its distinctive Apple sign. Apparently the level of detail was not present in the stores; the stairs were poorly made and the walls were not painted properly. 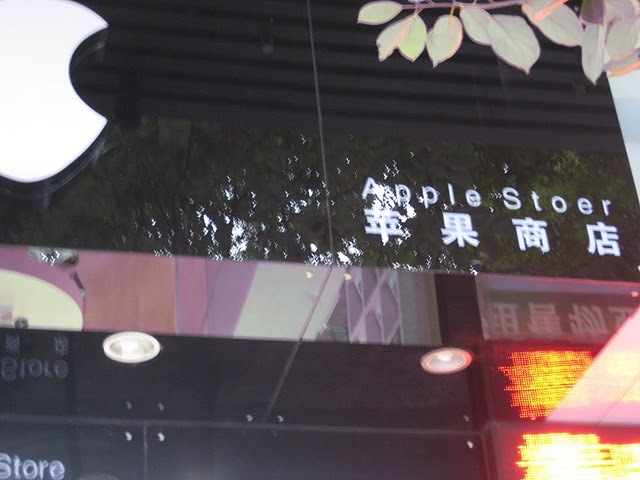 Upon leaving the store, the woman found two more counterfeit stores, one with the name “Apple Stoer”. An incredible level of detail, we wonder if the products are genuine or if they are as fake as the stores where they are being sold.